Sermon preached on 1 Samuel 14 by Rev. 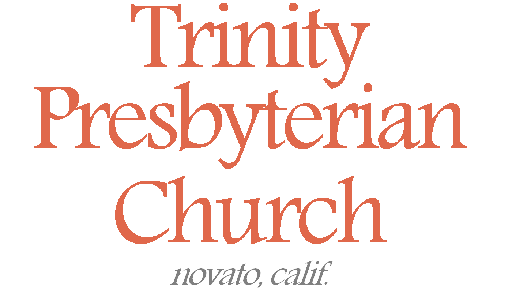 W. Reid Hankins during the Morning Worship Service at Trinity Presbyterian Church (OPC) on 3/22/2015 in Novato, CA. Last chapter we saw King Saul have a major failure. Face with a huge Philistine army and a dwindling Israelite army, he impatiently and presumptuously made a pre-battle offering to the LORD, instead of waiting for Samuel. Samuel arrived just as he did this. God then, through Samuel, immediately condemned these actions of Saul. Samuel told Saul that because of this, his kingdom would not continue. Well, okay, we understand that is the future for King Saul now. His dynasty will not endure. Okay, we understand. But what about the big Philistine army that is fast approaching on Israel? What will become of the people of Israel? Well, today’s story shows how God nonetheless saves the day, despite Saul’s failing. And in what seems a bit of irony, God will use Jonathan, Saul’s son, as the main hero. Even though Saul’s son Jonathan will ultimately bear the consequences of his father’s sin, he himself will act commendably before God in service to God and country. In other words, even though Jonathan’s future as king has been ended by Saul’s actions, Jonathan nonetheless is pleased to serve the Lord in great faith and courage. God will use Jonathan then in bringing about a great salvation for the Israel on that day. Let’s look first at the details of what went on, and make sure we understand the basic story line. The first fifteen verses put the focus on Jonathan. It begins right in verse 1. Faced with the huge Philistine army having arrived, and they are encamped adjacent to the Israelite army, we see Jonathan step up and rise to the challenge. Per the end of last chapter, and here in verses 1-5, we see the Israelite army was encamped at Gibeah, and the Philistines are just adjacent in the pass of Michmash. And so in verse 1, Jonathan decides with his armor-bearer to go out on a covert mission to attack the Philistines. Interestingly, he decides to not inform his father about this. And in verse 6 we see the reason that Jonathan is so confident. He tells his armor-bearer, “Come, let us go over to the garrison of these uncircumcised; it may be that the LORD will work for us. For nothing restrains the LORD from saving by many or by few.” In other words, Jonathan has great faith in God here. I love how his words sound so similar to how David will later speak when he is confronting Goliath. There is a godly boldness and confidence in both men; they trust God for deliverance. And similar results happen for both of them. But the point here is that Jonathan is not deterred by numbers. This serves as a literary foil to his father, who seemed very concerned about numbers. And yet Jonathan is so unconcerned about numbers that he doesn’t even take the 600 men who were there with him. Just he and his armor-bearer would go out together. And so the two of them go up. In verses 9-10, interestingly Jonathan establishes some sign that he believes will confirm if it’s God’s will for them to make the attack. It’s rather unclear how this sign was to work. Basically, Jonathan says they’ll show themselves to the Philistines, and if the Philistines call for them to go up to them, that that’s a sign that God will deliver them into their hands. It’s unclear how Jonathan knew this would be a sign, maybe there is something we are not told about here. But what is clear is this. Jonathan saw that this victory would be possible if it was the Lord’s will and if the Lord was with them. That’s the clear point of verse 10. If this sign came to pass, then it would tell them that the LORD had delivered them into their hands. Well, the sign came to pass in verse 12, and so Jonathan and his armor-bearer attack. And they have great success. Verses 13-14 describe how they took out about twenty men over a short distance. What happens next is especially exciting. In verse 15, it describes a trembling that came upon the Philistine camp. The word for trembling, by the way, is the same word used to describe the response of the Israelites in last chapter to the approach of the huge Philistine army. In other words, the Israelites had been terrified at the approach of the Philistines. But now the tables are turned and it is the Philistines who become terrified. Why the trembling? Well, it seems for two connected reasons. One, what Jonathan and his armor-bearer were doing seems to have created this stir in part. But the other reason is that there came some earthquake. So it seems that while Jonathan in great faith acted, God in turn also acted simultaneously. The result is that the Philistine camp goes into a panic. Verse 16 says that they start to scatter. And so here now the story line turns a little. The spotlight turns away from Jonathan and his armor-bearer to Saul and the rest of the Israelite army. Beginning in verses 16, Saul’s watchmen begin to notice the commotion going on in Philistine camp. Saul immediately calls for the priest to come with the Ark. Here it makes you wonder if the priest being here is an improvement from last chapter. And yet interestingly, it’s a priest in the family line of Eli, which is a line of priests that won’t continue as priests either, according to earlier revelation. So, I guess Saul fits well with them. Saul calls the priest and Ark over, presumably looking for God’s blessings to engage the enemy in battle. And yet, then what Saul tells the priest in verse 19, it sounds like Saul won’t wait for the priest to finish whatever he’s doing. Seems a bit impatient again by Saul. So, ironic with Saul. He seems at moments to be doing things God’s way, but usually doesn’t quite do it right. At any rate, Saul apparently rightly recognizes that this was the time to strike, and he sends out his 600 men to attack the Philistines in their confused state. Three immediate things contribute to a great victory by the Israelites. First, verse 20 says that the Philistines were turning against each other. In their confusion and trembling, it says that “every man’s sword was against his neighbor.” This is a strategy God employs a few different times in redemptive history — think of Gideon’s victory in Judges 7, for example. And interestingly even in Ezekiel 38 there is a prophecy of a victory over an enemy called Gog in the future which likely has an end times perspective, and there it talks about how again the victory will happen by the enemies turning their swords against each other. So, that’s the first thing that contributes to the Israelite victory. The second and third things we see in verses 21 and 22. Basically, the Israelite army gains some additional forces from two different sources. In verse 21 we read that there were some Hebrews who had somehow ended up with the Philistine army. Maybe they had been deserters, we are not told. But when they see the Israelite victory they abandon the Philistines and join back with the rest of the Israelites fighting with Saul. The second source of people is in verse 22; basically those Israelites who had fled and hid when they saw the huge Philistine army coming, they regain their courage and come out of hiding and join the fight. The result is that Saul’s small army suddenly becomes much bigger. And that contributes to the Israelites’ victory over the Philistines that day. And so the passage ends with giving credit to God. Verse, 23 “So the LORD saved Israel that day, and the battle shifted to Beth Aven.” This all started with Jonathan acting in great courage and faith in God. And yet the victory ultimately is rightly attributed to God. Remember, Israel didn’t even have swords or spears, and they started with just so few people. But not only did this battle serve to stop the enemy Philistine forces, but it liberated many of the Israelites and gathered them up from being scattered and scared. And yet the passage ends not only telling us of the victory, but telling us that the battle front then shifted to Beth Aven. In other words, this was a great victory for that particular battle and that particular day. But the overall war with the Philistines was not yet over. The war with the Philistines will continue. Well, we’ve just walked through the story and thought through the basic storyline. What I’d like to next now is to focus a little further on Jonathan. Clearly, Jonathan is shown as a hero in this passage. That will continue to be brought out in the rest of the chapter which we will look at next time. I love particularly how we’ll see in verse 45 that the people say that Jonathan worked with God in this military victory. What a wonderful thought: that someone would work with God in bringing salvation for Israel. What a big contrast with Jonathan’s father. Saul can’t seem to get things right with God. Jonathan shows himself acting so commendably in cooperating with God. And to think how it describes him working with God to bring salvation for Israel, that makes you think of the role of the Lord’s anointed king in Israel. Make you think of Jesus Christ. And yet, in light of what happens with Saul in last chapter, we know that Jonathan himself isn’t to be the next anointed king. He might look like a type of Christ, but he himself won’t be king. This is interesting, because at the end of last chapter, when Saul is told that his dynasty won’t continue, God tells him instead that God will be replacing him with a man after God’s own heart. Yet, when you get to this chapter, Jonathan shows himself so commendable here. He really does look like a man after God’s own heart. When we later see how David is selected as that man after God’s own heart, you can’t help but notice that Jonathan and David seem to both have that quality. Surely, that is why they both become such close friends. And yet, in light of Saul’s sin in last chapter, we see that Jonathan is not to be the next king. David will be instead. And so when I think of Jonathan here, I again think of a sort of John the Baptist role. I know I said that with Samuel too. But there’s a quality we see with John the Baptist that we will continue to see in Jonathan as we march along in this book. You see, John the Baptist helped prepare the people for the coming of King Jesus. During John’s ministry, he did some amazing things, and God used him to bring many to repentance and renewal with the LORD. But when King Jesus finally came and began his ministry, the focus had to shift. John’s disciples were to go and follow Jesus. When some of John’s disciples became jealous for John’s sake, John said that this was the way it should be. John said that Jesus must increase, and he must decrease. John was in service to King Jesus. Well, that becomes the case now with Jonathan here. In this chapter, Jonathan is the hero, and a major focus. Nonetheless, we know from Samuel’s prophecy and the larger story, that Jonathan is serving to help prepare the way for David to become the next king. And yet we’ll never see Jonathan despise this. No, we’ll see that Saul will be jealous. Saul will be jealous for his son Jonathan’s sake, in this regard. But not Jonathan. He seems content to but serve the Lord. Jonathan seems content in faith to receive whatever position the Lord would have him to be in. Yes, this will not be king. But that doesn’t mean that Jonathan then just hides in a hole in sorrow. Yes, surely, it is good to be king. Yes, surely, at one point he assumed that would be his role. But, in godly humility, Jonathan will be content in the place that God assigns him. And so in that place, he will serve boldly. And that means that right now he is a prince among Israel. And he will serve faithfully in the Lord with all courage and strength and wisdom. Yes, he’ll do this even in preparation for the new king that will come, King David. And of course his actions continue the longer journey in preparing for the coming of the ultimate King, our Lord and Savior, Jesus Christ. And so then in application, let us each “know our place” too in the kingdom. We serve King Jesus. We are his subjects. We are under him. And that is good. Let us find contentment then in how our King chooses to use in the battle. For we know he does great things even through those of weak or lowly positions. For in our weaknesses, his strength is manifested. That becomes the clearest in how we become saved. In acknowledging our sin, we turn to find his forgiveness by the cross. In Christ’s strength in going to the cross and bearing the penalty for our sins, we are forgiven and saved. In our weakness, his strength is demonstrated, and we know the salvation of the Lord. We carry on in that strength then as those made a part of his kingdom. For we go forth into this world still in a battle. But the battle is not a physical one, but a spiritual one. And so we go forth looking to work with our Lord in this spiritual war that we are a part of now, as those in Christ’s kingdom. Well, in our final point for today, I’d like to see what lessons we can learn from this battle, and apply them to the spiritual battles we face today. I’ll mention three. First, we are called to have faith amidst the battle. We see in this story much fear on the part of many of the Israelites. King Saul himself seems to show some fear and anxiety over the huge enemy army and the dwindling Israelite army. But not Jonathan. He is confident that God can deliver them even with just a few. Well, as we go forth in this world, and recognize the spiritual battle we are in, we can be tempted to feel intimidated by the enemy. Do we fear that there are too many in this world against us? That there are so few Christians really here around us to stand up for Christ? Do we feel so marginalized and minimized by the world around us that we tend to not speak up as much as we ought? And yet God has a repeated track record of doing great things with small numbers. That should especially encourage us in the OPC and in the Bay Area. So few churches in general in this area. Let alone a Reformed Presbyterian church. In the world’s eyes, we are so tiny. But God is with us. Let us have faith that God can use us, even in our small size. A second lesson for our spiritual battles comes in verse 6. The pew Bible records Jonathan saying basically that it “may be” God’s will to grant them a great victory. Some translations use the word “perhaps.” Perhaps. That is a good and humble perspective. Because we believe in Romans 8:28 that God is in control and working for our good, we know that the end of all our history will accomplish God’s good plans for both our lives and for Christ’s kingdom as a whole. Yet, when we go forth into any particular spiritual battle, we often have our own ideas of how God should work in any given situation. But we would do well to buffer our expectations and hopes with that word of “perhaps”. In other words, we should say, if the Lord wills, we’ll go out and have this or that victory in any given situation. But we should be humble enough to acknowledge that how we think God should work in any situation, is not always how God has indeed decided to work. God’s ways are not our ways. Trust in God. Trust in his plan. Go forth in humility and look to work with him. But trust him in the outcomes. A final point of battle lesson to highlight is from the last verse. We know the overall victory of the Lord for his kingdom is certain. And you might see ways in which he clearly brings various victories for his kingdom in your life. And yet whenever you do see those victories, realize like it says in the final verse. That then the battle front will move on to the next place. In other words, when we do experience various victories in this spiritual war, look ahead then next to where the next battle is. Until Christ comes back, there will be such battles. Engage in them as a soldier for Christ. So then, brothers and sisters, be encouraged in the victory that we have known and will know fully in our Messiah, the Lord and Savior Jesus Christ. Become encouraged again today to stand with him and fight with him for his kingdom. Maybe lately you’ve been like those Israelites who just wanted to hide in the hills instead of fighting with your king. Or maybe you are someone here today whose been hanging out with the enemy of God’s people because you falsely thought that they had the winning side. See how God gathered up his people today through Jonathan to bring together his people in the army of God’s people. May you too today heed the call. If you’ve been hiding, then hide no longer. If you’ve been siding with the enemy, then side no longer with them. Put your trust and faith in the Lord Jesus Christ. Get on the bandwagon with the victor today! At times, the world might look like they are going to win. But we know that they won’t Christ Jesus is our great king and savior. Let us find our strength and courage in him as we go forth in his name. Amen.